The National Physicians Alliance (NPA), an organization of 22,000 physicians in the U.S., has developed and issued today, three lists of “Top 5″ recommended changes in common clinical practices in primary medicine. They say, based on scientific literature and professional opinion of the participating physicians, that these changes could improve care, lower risks for patients, and lower costs. The three “Top 5″ Lists issued today relate to three primary care specialties: family medicine, internal medicine, and pediatrics. The “Top 5″ Lists in Primary Care were published today in the May 23, 2011 issue of the Archives of Internal Medicine, a journal of the American Medical Association. The Top 5 List for Pediatrics is available, along with the full NPA report on The “Top 5″ Lists in Primary Care, in the May 23, 2011 issue of the JAMA journal, Archives of Internal Medicine. As illustrated above, three of the recommendations (nos. 1, 3 and 5 in the lists above) overlap for Family Medicine and Internal Medicine. The “Top 5″ Lists were developed by working groups of physicians in the three listed specialties from such institutions as Johns Hopkins School of Medicine, University of California, University of Pennsylvania School of Medicine, Stanford University School of Medicine, the Medical School of Brown University, University of Connecticut School of Medicine, University of Maryland School of Medicine, Case Western Reserve School of Medicine, Cleveland, University of Colorado Health Sciences Center, and others, as part of a NPA-sponsored project called “Promoting Good Stewardship in Clinical Practice.” Funding for the project was provided by the American Board of Internal Medicine Foundation. Three working groups of 15 physicians each, in the specialties of family medicine, internal medicine, and pediatrics, developed the initial drafts of the Top 5 lists, with the assistance of research assistants who validated the scientific evidence for or against the changes in practices recommended by the physicians. The initial lists were then submitted, by specialty, to a group of 83 physicians for initial testing. After modification based on the initial feed-back, the revised lists were submitted to a larger group of 172 physicians in the respective specialties, for final testing. 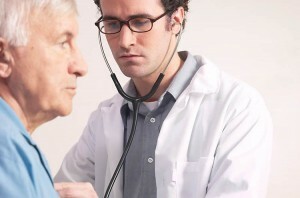 The testing physicians rated the recommended changes in clinical practice on the lists on a five point scale as to (i) extent that the recommended change in practice would improve quality of care either by improved outcomes or lowered patient risk, (ii) the strength of the scientific evidence in medical literature supporting the recommended change, (iii) the extent that the recommended change in practice would lower costs, and (iii) the ease or difficulty of implementing the suggested change in their own practice. With one exception, where initial testing resulted in changing one of the recommendations in the family medicine area, all of the recommendations of the initial working groups received majority support of all of the testing physicians. During the development of the Top 5 lists, Dr. Stephen R. Smith, lead author and principal investigator for the project, who is a professor and former dean at Warren Alpert Medical School of Brown University, and serves on the board of directors and as treasurer of NPA, wrote an article, “Top 5″ Lists for Good Stewardship in Primary Care,” published in the November 14, 2010 issue of Primary Care Progress Notes, in which he recounted the personal impact the Top 5 lists were having in his medical practice as a primary care physician. The NPA report states that the Top 5 Lists will be distributed to all NPA physicians in the referenced primary care specialties, and the NPA will support physicians’ efforts to implement the recommended changes in their practices. As part of the planned activities to support implementation of the changes, NPA will produce training videos both for physicians and for patients. “Videos will also be produced specifically for patients, explaining the rationale for the recommendations by clarifying that risks outweigh benefits, and the link between overutilization and increases in insurance premiums,” the report states. The full report, The “Top 5″ Lists in Primary Care, is available in the May 23, 2011 issue of the Archives of Internal Medicine, a journal of the American Medical Association. For more information about the National Physicians Alliance (NPA) and its ““Promoting Good Stewardship in Medicine” project, see the NPA website. For news and information about issues concerning Health Care Reform, see our VoicesForCare™ section.